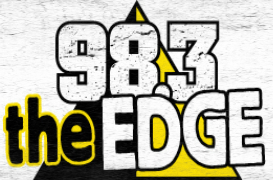 98.3 The Edge – ROCKS Bowling Green! Enter for a chance to win tickets to the Sonic Temple Art and Music Festival. The event is May 17 through 19. It features Foo Fighters, System of A Down, Disturbed, Ghost, Papa Roach, Halestorm, The Cult, Bring Me the Horizon, Black Label Society and many more. Click here to buy tickets to the event.